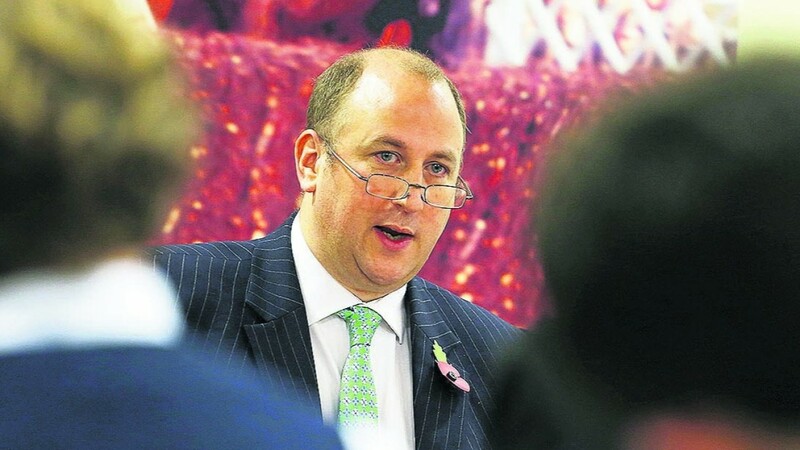 BHA chief executive Nick Rust yesterday announced his intention to introduce stiff punishments for those convicted of corruption offences, arguing that the reaction to the six-month suspension for Jim Best had provided him with a mandate to put in place a zero-tolerance approach to cheating. Rust was speaking as the BHA finally broke its silence over the legal debacle linked to the solicitor and former disciplinary panel chairman Matthew Lohn, who undertook additional and undivulged work for the BHA while also serving on its independent panel, creating a perception of bias that led to two convictions being sent for rehearings and seven others being identified as potentially unsound. Rust described the failure to divulge Lohn's work as an "error of judgement" and apologised on behalf of the BHA, but also insisted the regulator was learning from its mistakes and insisted he had never considered his own position over the matter. "I'm the one tasked with dealing the issue and putting things right," he said. "It's for others to decide if I'm succeeding or not." Among the changes Rust said he is determined to implement are tough penalties for those who commit offences like Best's. Best was convicted of ordering the jockey Paul John to stop two horses, for which he received just a six-month suspension, a considerably more lenient punishment than at his original hearing at which a four-year ban was imposed. The panel in this month's hearing wrote that they felt constrained by poorly worded sentencing guidelines and also took into account the financial and mental stress caused to Best by the case dragging on for almost a year following the quashing of the original verdict. "We are disappointed a stiffer penalty wasn't given down, but having read the reasons given by the panel we take that on board and note very carefully their comments about the [sentencing] guidelines," Rust said. "For the good of our sport, I have a mandate now to look at those and make sure the toughest penalties are put in place – without resistance from participants in the sport to the changes – for the most serious offences." Rust was speaking to the Racing Post after the BHA published a timeline of events beginning with Lohn's appointment as a disciplinary panel member for the Jockey Club in 2005 through to the publication in September of Christopher Quinlan QC's report into the sport's disciplinary processes. It revealed Lohn, a doctor as well as a solicitor, was originally consulted on a medical matter in October 2013, later going on to provide further legal services for which the BHA paid his firm Fieldfisher £54,286.80 over a period of 22 months. In February 2015 the Professional Jockeys Association raised concerns about the presence of Lohn on the panel. Those concerns were brought to the attention of numerous parties, including Nick Rust, the BHA's in-house legal team, former integrity director Adam Brickell and Lohn himself. Although a commitment to carry out a disciplinary panel review – later completed by Christopher Quinlan –was made, the specific concerns about Lohn were not acted on. Lohn himself did not believe there was a perception of bias either, although he later declined the invitation to tender for a rewrite of the rules of racing on the basis it would call into question his impartiality as panel chairman. "We did take [the PJA's concern] seriously but we probably didn't ask enough questions of ourselves," Rust said on Thursday. "I regret that and I apologised on behalf of the organisation in April and I repeat it today." The consequences of the Lohn error have been far-reaching. One of the cases identified as potentially unsound involved the former owner Anthony Knott, who had the remainder of his three-year disqualification for passing inside information overturned and his conviction struck from his disciplinary record. Such a move was unorthodox – in theory, the BHA itself does not have the power to strike down penalties or convictions – but Rust defended it as "sensible". "We were in a position where I had to deal with the aftermath of our error of judgement," he said. "When we looked at the case with Mr Knott the options were either to agree some form of tribunal, to resolve matters between the parties on an agreed basis, or to allow the matter to go to the High Court. We decided the best outcome would be a pragmatic one." Three cases involving Lohn remain to be resolved, Rust said, with the BHA hopeful of closing the book on them by March. He suggested two of them may go to an "independent tribunal", while the third, he believes, will be shut with no further action. The affair has also incurred significant legal costs for the BHA and Rust said he intended to publish the full bill as part of the regulator's annual report in April. However, he denied the bill to clean up the Lohn affair had been passed on to owners as part of a 7.5 per cent rate rise over the next three years announced this month. Rust said: "I don't accept, though, that we have put up charges to pay for Lohn. Ultimately, the BHA has no funding other from participants of the sport and racecourses and we have to charge for the services we provide. Others can determine if we are good value and if I should be entrusted with the budget."